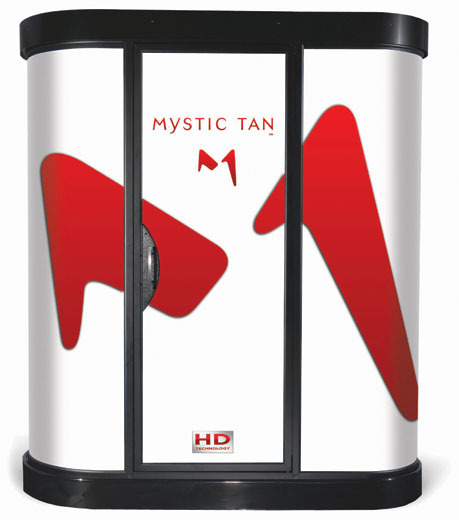 Mystic Tan is a full-body, DHA tanning process that utilizes the new MagneTan® technology. The Mystic Tan booth is located in a comfortable, private room. You simply enter the room, disrobe and step into the booth. A push of a button activates the MagneTan® nozzles and the solution is attracted to your body by the exclusive MagneTan® technology. Forty-five seconds later the process is complete! Simply step out of the booth, towel dry any remaining mist, dress and enjoy the benefits of a uniform, natural looking tan that took less than 5 minutes and will last for days. MyMyst technology allows you to personally customize your sunless experience. The formula starts out as a clear, fragrance-free, bronzer-free solution. You decide whether to add instant bronzer, tropical scent or accelerator (or all three!) 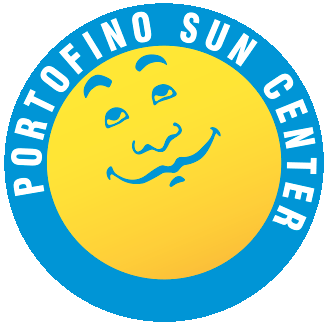 to your experience. We offer you the newest formulations to produce a tan that lasts longer, fades more evenly, and provides a natural looking tan for all skin types and tones. We offer Mystic EXTRAS including aroma, single & triple boosters, and accelerators (cuts time in half). iNTELLiSPRAY™ Solution Scientifically proven, meticulously formulated, first of its kind combination sunless solution. Integrated Height Sensing Technology Equipped with height sensors, the auto booth calibrates the tanning session based on the height of the client, creating a completely customized session. Recirculation Down-Draft Technology Working with gravity, pulling solution downward, while warming and comforting the skin. Heated Environment Activates the DHA within the Norvell iNTELLiSPRAY™ Solution, virtually jump starting the tanning process. Automated Voice Command - No need for special dance instructions or elaborate movements. The revolution moves while you stay put. Award Winning HVLP Design simulates a handheld spraying session.